On days when I'm feeling really guilty for eating a lot of unhealthy and sinful food I'd then make up for it by having salad on my next meal. However, I'm quite picky on where to get fresh greens as I don't want to run the risk of ending up with a bad stomach or worst amoebiasis. I'm glad though that our local hawker stalls are taking the precautionary steps to practice proper food handling and hygiene all the time. Oh, one of the many things I love about the Lion City. Working in the CBD has its perks. One is definitely the endless food choices available. Since Amoy Food Centre is just a few steps away from my office, this has been my go-to place on days when I'm just too lazy to bring a packed lunch. Let me share with you one of my favorite stalls. First, you choose whether you want to create your own salad or to get one of the listed ones on the menu board. I normally go for the 1st option which is to have my DIY salad. Second step is to choose 5 basic toppings -- the choices are endless! 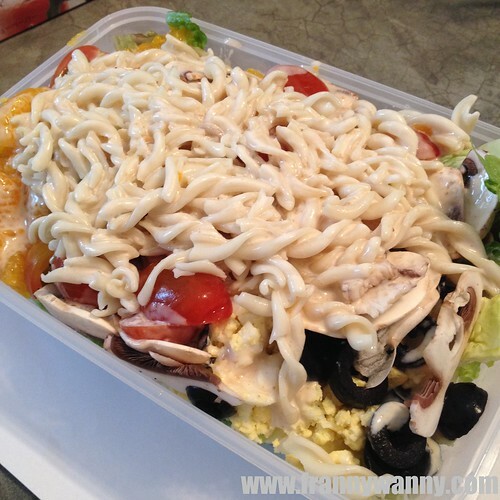 From fruits (mandarin orange, apple, pineapple), beans, nuts, egg, carbs (pasta, soba noodles, red rice) and more veggies (celery, olives, carrots, mushrooms, cucumber, cabbage, tomatoes, corn, bell peppers)! You can also add some meat like tuna, crab meat, chicken for a minimal charge. 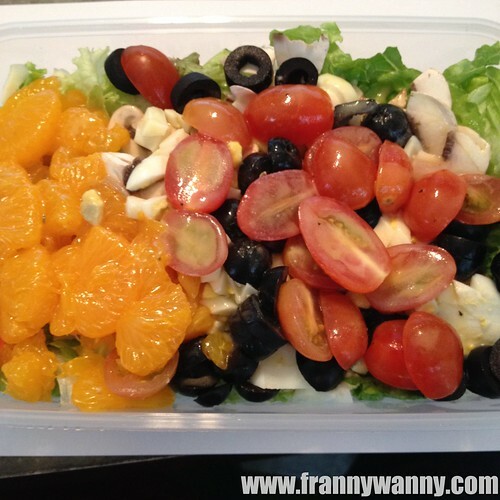 My personal favorite includes : mushrooms, egg, fusilli pasta, olives and mandarin orange! The 3rd and final step is to choose your dressing from more than 10 kinds available. I've tried the Japanese Sesame, Honey Mustard Vinaigrette and the Honey Balsamic Vinaigrette and they're all very yummy! What makes The Salad Corner a hit among its loyal patrons is the fact that you're getting clean, fresh and delicious salad mixes at such affordable price. The basic salad is just S$4.90 and believe me, the serving is HUGE! Even Paul loves The Salad Corner too that we began a little weekly tradition of having salad for dinner a few months back. Deciding what toppings and dressing goes into our individual salad has become an interesting evening conversation every now and then. 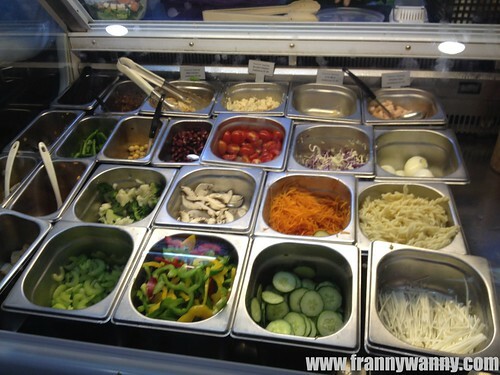 So, when it comes to having a healthy salad for lunch, The Salad Corner is my #1 choice in Singapore. 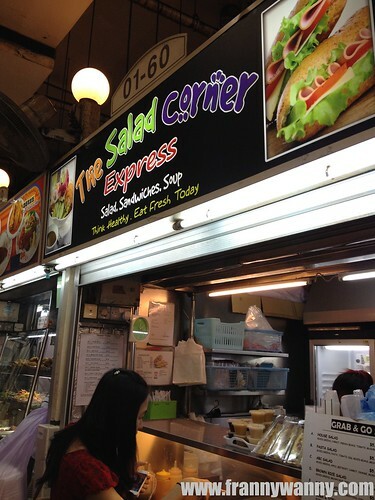 The Salad Corner is located at Amoy Street Food Centre stalls #01-41 & #01-60 (Grab and Go Salad), 7 Maxwell Rd, Singapore. They also have a branch at Market Street stall #01-10, 50 Market Street, Singapore.